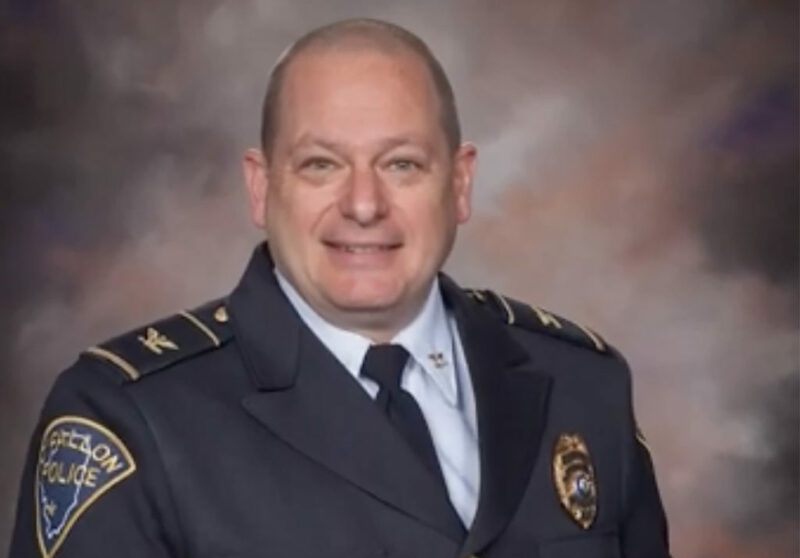 SPRINGFIELD – O’Fallon Police Chief Eric Van Hook has been named the 2019 Chief of the Year by the Illinois Association of Chiefs of Police. The award is for leadership in his community, leadership in his own police department, and service to the association. ILACP is a 1,300-member organization representing more than 450 agencies in Illinois. Van Hook has been the O’Fallon chief since 2013. He started his career in O’Fallon in 1990 and left for 15 months in 2012 to serve as police chief in neighboring Collinsville. Then he returned to O’Fallon and manages not only the police department, but also the City Fire Department and the Department of Emergency Medical Services. The O’Fallon Police Department has 50 full-time sworn officers and 31 civilians such as telecommunicators, records clerks, and Community Resource Officers. The Citizen Police Academy and Senior Citizen Police Academy, as well as a Youth Police Academy and Explorer Post. Coffee with a Cop and Cones with a Cop (similar to Coffee with a Cop, but with ice cream); as well as Cops N Kids (Shop with a Cop), which is funded and facilitated by FOP Lodge 198. Pop Up Bar B Ques, an innovative, well-received program that takes the O’Fallon Police Department into some of its underprivileged neighborhoods. The officers show up with a grill and cook hot dogs and burgers for the entire neighborhood. Officers and the chief serve dinner and interact with the residents by having conversations about their neighborhood or playing catch with the kids. Night to Unite Event (formerly National Night Out). Active shooter presentations and training for schools, businesses, and churches, and 911 Education classes in elementary schools. Raising tens of thousands of dollars for Special Olympics Illinois and the Law Enforcement Torch Run by participating in the Polar Plunge, the Torch Run, and other fundraisers coordinated at the state and local levels and developing great relationships with Special Olympics athletes. Engaging in quarterly meetings with the local leaders of the NAACP and signing the Ten Shared Principles designed to build bridges between law enforcement and communities of color. Assigning two members of his command staff to the Illinois Chiefs’ Legislative Committee. Service on regional law enforcement groups such as the Major Case Squad of Greater St. Louis, the Southern Illinois Law Enforcement Commission (SILEC), the Metropolitan Enforcement Group of Southern Illinois, and Southern Illinois Police Chiefs Association, where he served as president in 2017. He also has developed relationships with the nearby Scott Air Force Base and works with two nonprofits where he advises on the National Guard Youth Leadership Program. Creating an officer wellness program that includes yoga classes and a forthcoming Peer to Peer counseling program. Van Hook has a bachelor’s degree in criminal justice from Sterling College and a master’s in human resource development from Webster University. He and his wife Laura have four children and three grandchildren.